As we’ve mentioned before we’re fortunate enough to work with diverse clients from various industries and in different cities around the UK. This month we’ve spent a lot of time up in Carlisle, working with clients both old and new, and we’ve recently completed new sites for both Story Contracting and Johnston Tractors. Story Contracting pride themselves on doing the job right, and here at Union Room we like to think that we do too, so the redesign of their new site was off to a good start. Recently named as one of the 100 fastest growing businesses in the UK by The Sunday Times, Story Contracting are having a lively year so it’s only right that their website reflects this expansion. We’ve been working with this award-winning company since mid 2014 and the time was right for an update to the site. We collaborated to create a modern new look and a more intuitive design that better suits their business profile. The well-respected Johnston Tractors are the official John Deere dealers for the Cumbria and Dumfries area and specialise in agricultural equipment and farm vehicles from three sites in Carlisle, Dumfries and Appleby. Johnston Tractors were looking for a refresh for their website which would integrate with their existing system. 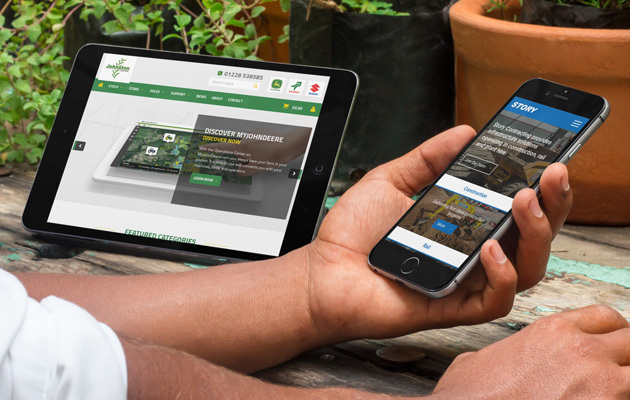 We teamed up with them to create the new johnstontractors.com and which is now fully responsive across all devices, more user-friendly and visually up to speed. This will provide them with a more professional online presence and a better platform from which to grow their business in the future. 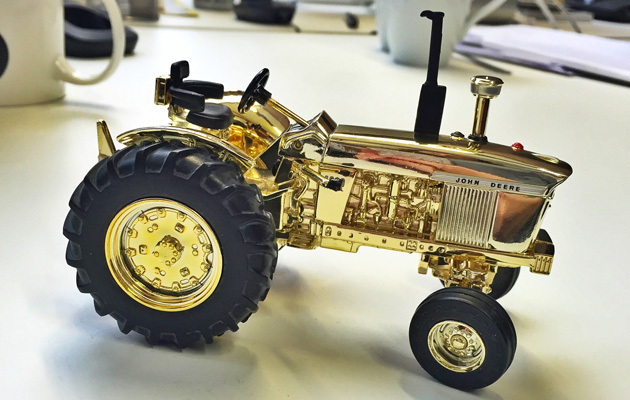 We’ve enjoyed the process of working on this new updated site, and we especially enjoyed receiving a tiny golden tractor in the post as the site went live. Thanks Johnston Tractors! Whatever the industry sector, we’re focused on providing excellent web design and development. If you’d like us to work on your digital project get in touch, we’d love to hear from you.